The rapids mentioned here appeared in a British travel brochure as a "fly-fisher's paradise" over a century ago. Despite being in the wilds, the popular waters and rapids of the region are easily accessible. This important fishing region is dissected by rivers, rapids and lakes. The brown trout is the provincial fish of Central Finland and the most desired catch. Aside from trout, the rapids also yield grayling. 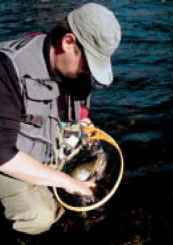 Stocked trout in the region are tagged. 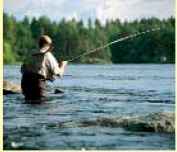 Fishing spots include a host of Finland's best-known trout rapids: Huopanankoski, Karnankoski, Kellankoski, Keskisenkoski and Kapeenkoski. You will have a possibility to fish on 3 of these, as per fishing limits and reservations, for a week. 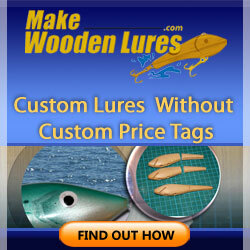 Your fishing guide will plan the best schedule for every group depending on seasonal circumstances. Since we fish the best spots in the river from McKenzie drift boats, other fishing enthusiasts are unlikely to disturb us. Wading is required at other spots since we fish from the banks. The spots we have chosen are varied and easy to fish. Various pools in the rapids provide opportunities to practice different fishing techniques, ranging from surface fly to nymph fishing. The rapids vary between 0.5 and 1.5 km in length and are 15 m to 70 m in width. The colour of the water in Central Finland varies from quite clear to crystal clear. Medium tackle (AFTMA 4-6) is usually perfectly adequate. A 9-foot rod is a good all-purpose rod. Floating fly line is sufficient as a rule. You can weight flies and snells to fish deeper. Waders are a must. Various imitation caddis flies are typical flies to use in the region. In early summer, the most effective flies are pupa and larva flies such as Goldhead Hare's Ear. Later in the summer, imitation adult caddis flies, such as, Goddard Caddis, also work. Most large trout are caught using streamers such as a Muddler Minnow. We recommend 0.16-0.30 tippets, depending on the situation. Includes a week's guided fishing in 3 rapids of Central Finland region. In addition to the guided fishing, you will be able to fish in the area on your own. Arrival and departure day: Sunday Each day includes 6 hours' guided fishing, full-board, a hire car and fishing permits. 1 guide to 23 fishers. Time Packages available for 2006 during 1.5. - 10.9. Firm bookings 5 weeks beforehand. Accommodation in quality log cottages (2 rooms, sleeping loft, shower, sauna, WC). Single room accommodation in a manor house setting for single persons. Price includes full-board. Al fresco lunch or dinner depending on the day's programme. 2 McKenzie drift boats at Kapeen-koski rapids (guide + 2 guests/ boat). Casting railings for two onboard + flotation suits. Other fishing packages available from 1 April to 10 September depending on season. Rainbow trout, brown trout, white-fish and grayling are among the catches along the 1.2 km Ayskos-ki rapids. The rapids have a quota of 15 persons fishing a day. The rapids as a whole are extremely diverse, with good quality, quite clear water. The rapids are between two of the largest, most important lakes, Nilakka and Rasvanki, in the area and surrounded by forested banks. This means there are many natural fish, mostly trout and grayling, either descending from the lake or swimming up the rapids. 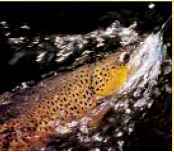 During the season, the rapids are also restocked with rainbow trout and trout. Located on the banks of the Ayskoski rapids, Lohimaa is a holiday centre that opened in 1985. Lohimaa is in the municipality of Tervo, 65 km to the west of Kuopio. Besides fishing, Lohimaa offers a diverse range of programme services throughout the year and quality restaurant and accommodation services. The rapids feature stretches for surface fly-fishing, headwaters, rocky rapids, superb edges along the main flow, submerged weirs, stone reefs and the huge Patola smooth waters. The rapids are rich in fish and are among the rapids requiring a permit where a catch is virtually guaranteed. Ayskoski can be fished from both banks and wading is quite easy up to the edges of the main flow. During periods of high water, caution should be taken when wading, especially in the headwaters and at the edges of the main flow. Insect life around the rapids is a vigorous. There are plenty of caddis flies and at times mayflies. Stoneflies are found near the rapids in April. 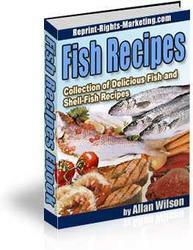 Apart from flies, the bigger fish also eat bleak, perch, sculpin, roach and smelt. Since the rapids are also a major spawning ground for trout, unnecessary wading should be avoided between October and April. The rapids also feature very diverse sections where you can try out all fly-fishing techniques. All fly-fishing techniques and lure fishing in certain sections of the rapids. Reasonably light tackle (class 3-5) is usually perfectly adequate. Various leeches, jigs, spinners and small wobblers also work well. Fully equipped canoes, rowing boats, casting-based fishing and trolling boats for hire. There are 10 fully appointed cottages sleeping 4-9 persons at Lohimaa in the immediate vicinity of the rapids and two at Tervo (7 km from Lohimaa) near Eerikkala Golf course. All cottages are equipped with spacious living quarters, crockery, TV, stereo, videos, fireplace, sauna and communal facilities to gut fish and dry clothes. Try out your luck at fishing with a bunch of friends or with a group from your company. Spend a pleasant day fishing, and enjoy tasty food and a traditional smoke sauna. You don't need to bring your own fishing equipment, since we provide all visitors with fly-fishing tackle for the day. Top off your day in the soothing steam of the smoke sauna and a dip in the foaming Ayskoski rapids. The package includes 24-hour fishing licences, fishing tackle and equipment, guide for 8 hours, meeting rooms and equipment, coffee and salmon sandwich on arrival, lunch, traditional or modern smoke sauna and 3-course restaurant dinner (excl. drinks with meal).